See more of Brindisi in just a couple of hours than you would do alone. By booking this private tour, you’ll explore the Roman port city with your very own guide to cut out waiting times and focus on the sights that interest you most. 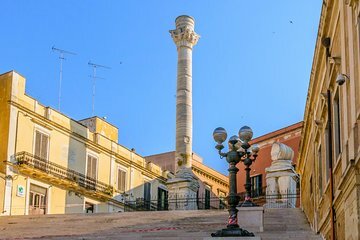 You’ll discover Roman columns, the end of the famous Appian Way, Brindisi Old Town, the Museo Archeologico Provinciale Francesco Ribezzo, and more.